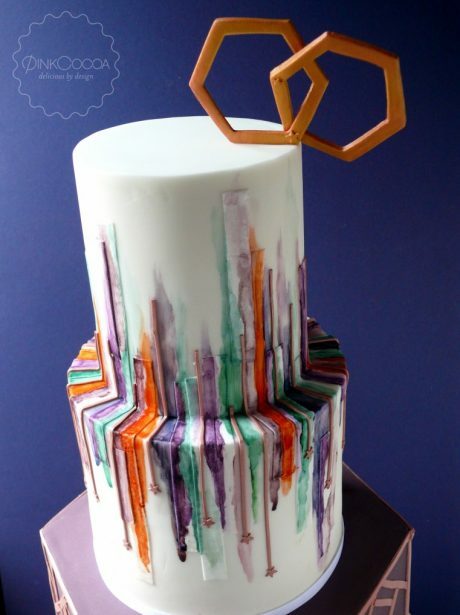 Loved creating this dramatic hexagonal wedding cake. 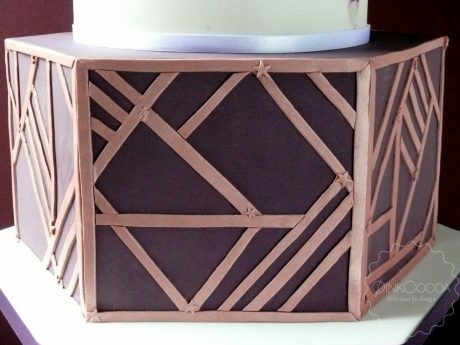 The base tier was a deep purple colour with rose gold geometric lines wait the occasional tiny star which were also part of the decoration on the top tiers. 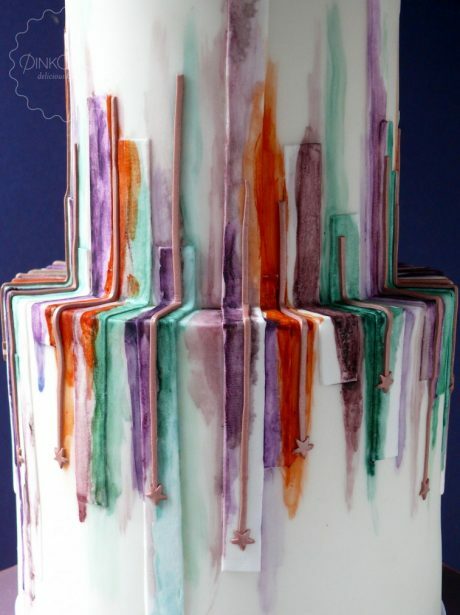 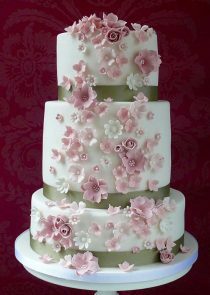 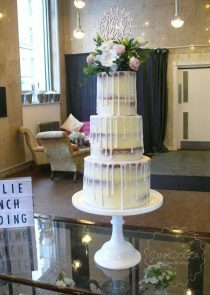 The top two tiers had a layered effect with strips of fondant under a watercolour painted decoration. 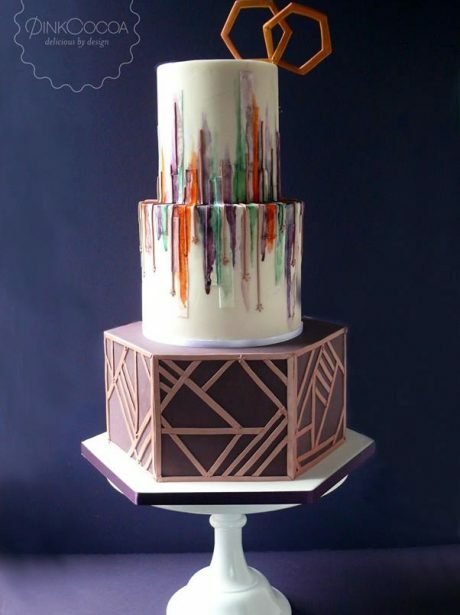 Rose gold texture lines finished with design. 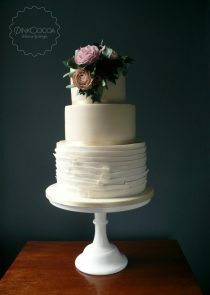 Gold, black & white wedding cake. 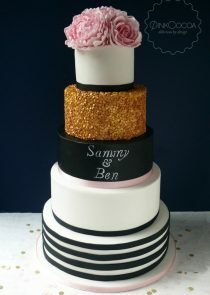 Gold sequins and black and white stripes.